Jean Wilkinson has designed and handmade this very striking pendant as a flowerhead - it reminds me of a black eyed Susan seen from the side. 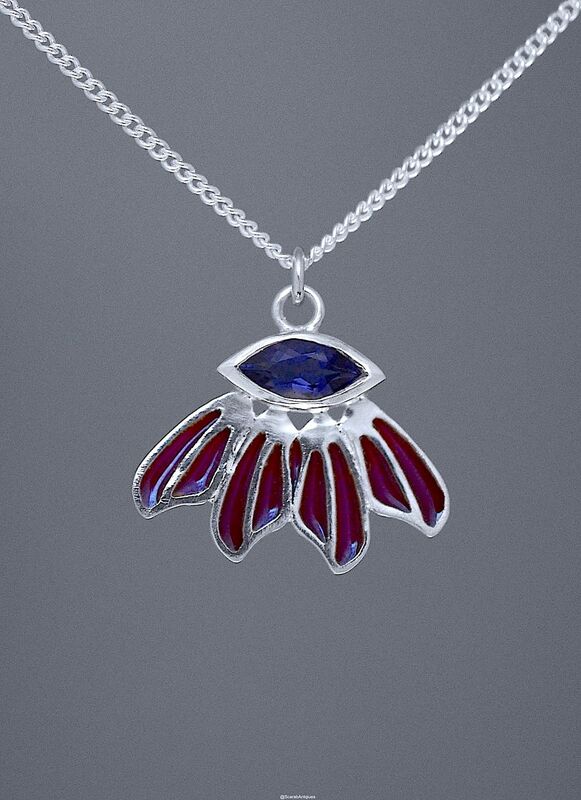 The top of the pendant is rubover set marquise shaped iolite that has been set lengthways below which are 4 red plique a jour & silver petals. The pendant hangs from a silver chain.